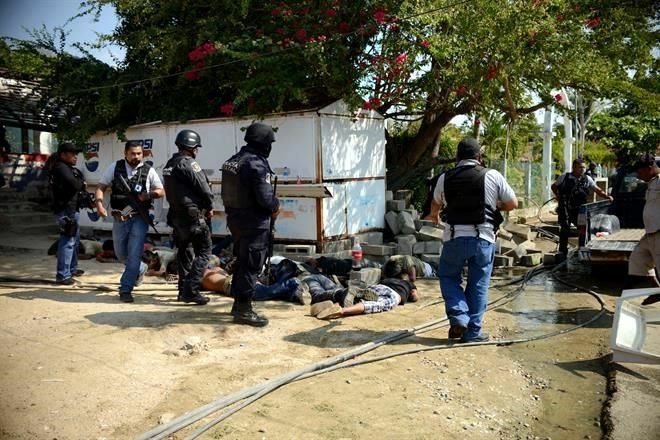 No less than one communitario was killed in an extra-judicial manner in a disarming operation that Police carried out on Sunday in La Concepcion, in the town of Acapulco, accused Abel Barrera. The President of the Center for Human Rights signaled that, according to a witness, the commander of the communitarios, Crescenciano Everardo Lorenzo, was killed while he was disarmed and handcuffed. Also, said Barrera, there are other versions that another two auto-defensas were also killed extra-judicially. "We are going to be talking with the people of the community of La Concepcion and the families of the victims, and we are going to know the horrendous things that occurred during this operation", he said. The activist described the Police operation as an excessive action, since almost 300 agents and soldiers acted against 30 communitario policemen, who had low caliber weapons and many of whom were unarmed. Barrera rejected that the communitarios posses weapons for the exclusive use of the Army, as indicated by the State Attorney Generals Office. "It is clear that the Government planted these weapons in the community", he said. Yesterday, Marco Antonio Suastegui, leader of the Council of Ejidos and Communities opposed to La Parota Dam (Cecop), and 24 communitario police officers were sentenced to preventative detention for aggravated homicide against 6 people. The deadline for determining whether or not they are subject to a binding process expires next Monday, said Barrera. 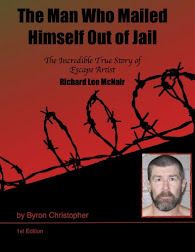 Seven others were released because it was found that they had no responsibility. In the operation, Barrera added, the police released the retired military officer Iván Soriano Leal, who was imprisoned in the House of Justice subject to a process of re-education and whom a few days ago confessed that he had been hired to assassinate Marco Suástegui. According to the activist, Soriano Leal, after being released, he took the agents to the houses where the community members live to arrest and beat them. Versions of locals indicate that Soriano Leal was hired by the businessman Humberto Marín, who is upset with the community and the Cecop because they canceled the exploitation of the stone material that he made in the Papagayo river. Barrera also accused the adviser to President Hector Astudillo, César Flores Maldonado, of encouraging the division in the towns that make up the Ejido of Cacahuatepec so that the federal government can revive the construction project for the La Parota dam. The president of Tlachinollan said that La Concepción is experiencing a climate of tension because the Government of Astudillo began a campaign of "lynching" against community police and social leader Marco Antonio Suástegui. He noted that at public hearings in court, Suástegui and other community members alleged that they were tortured by the agents. He said that envoys of the National Commission of Human Rights (CNDH) are gathering testimonies to document what happened. On Sunday, in clashes in Guerrero between armed civilians, community and police killed 11 people. I was going to post the original article. It was Reuters. I decided not to because facts were incorrect. this is not in acapulco and not in la concepcion which is 45 mns NE of aca, but La Concepción, en Bienes Comunales de Cacahuatepec, over two hrs away where Ejidos are, small pockets of farming towns. This article is closer to the truth. the government eliminating autofensas. Reuters article read like narcos and citizens were in a clash. this is all political. and sadly has been going on since I have been in Mexico. The community police [like autodefensas] knew they were going to be attack in retaliation for an arrest made of the leader of the gang. I immediately thought of Tepalcatepec when I read this article on Reforma. Its fairly obvious from the regularity that these events happen, that the Mexican Govt has no shame what so ever. I cannot think why, the Mexican people let this happen, other than they are all suffering from battle fatigue, from being f***ed over by their own Govt for the last 100 odd years. Barrera also accused the adviser to President Hector Astudillo --- actually, Governor not President. I tried to find another La Concepción, and could not find it. I read another article that it is the LA Concepción near Acapulco, it described the town's nearby which are Aguas Caliente, Amatillo. the name is in the title of your own link title. what is wrong with you? it is like saying san diego and L.A. are the same. the distance from los Bienes Comunales de Cacahuatepec to Acapulco is even longer than san diego to LA, over 2 hrs. it is a rural region so they often tie it to another name. ex la concepcion los Bienes Comunales de Cacahuatepec. the point was being made it was far from Acapulco city but the msm media published that it was "acapulco or near" when it was not. there is a map posted on the state department advisory post [i think ] give it a rest sergeant Friday. 6:04 I read the same article or one on the same town..i thought I read it here on BB but maybe it was elsewhere. This is how government's and corruption go hand in hand,the money involved precludes people's lives. 6:47 I am more surprised money doesn't precede everythin' else. SO what if the Human Rights Organization talks to, or investigates what happened. IT DOESNT MATTER!! This happened in Mexico and the Mexican government will do what it needs to do, to keep it covered up. The Mexican government will stay quiet, everyone will act like they are too busy to discuss this, a few months will go by and it will be forgotten about. And then there will be another incident that is similar and the process will start all over! If you got problems talk to the Pope, or to the hand, or write a suggestion, whatever. Unbelievable! If it's not the corrupt government of Mexico, killing innocent person's with thier Police, then it's the Cartels that want to kill the people that, that only want to protect thier neighborhood. Corruption will always be present. It would be very easy to indemnity the displaced peepols, or relocate them, give them some shares, education and services, but spraying them with bullets and chopping them with cheap machetes is more expedient, after all the government sicarios are all armed and saddled. NAFTA GIVES IT ALL TO PRIVATIZERS AND PROFITEERS and bullets for the dispossessed socialistas. I was working in rural GRO when the Autodefensa movement started a few years ago. The criminal organizations have their fingers in everything, even if it is just as an informant from the local autodefensas. But I did see positive developments in a sense of safety to walk around town with less worry when the autodefensas were just beginning and really looked like they could bring change. Later I heard in the distance a firefight between the autodefensas and some organization with automatic weapons. About 5 minutes worth. Probably to just survive, the autodefensas are left with little option but to align with some group that works with them more than another organization. Sadly, the revolution will be bloody also, when the people have had enough. Gracias a Chivis por entregar el informe más correcto, aunque sigue mencionando Acapulco. Me espantó al leer Reuters...hechando la culpa a Acapulco por algo que habia pasado muy, pero muy lejos de Acapulco. Así son las noticias MSM*...mucha información falsa. You are welcome. The false reporting in MSM outside of Mexico is frustrating. They choose to not get it right. there is not one media source I can recommend. Because the dam is slated to be built on communally owned indigenous land (ejidos and bienes comunales), the government must convince local communities to invoke a clause (added to the Mexican Constitution as part of the North American Free Trade Agreement, NAFTA) approving the government’s expropriation of their land. Previously, the government secured this approval through fraudulent “popular assemblies” that were eventually tossed out by federal courts. Exactly! and it has been going on for years. many have been murdered and kidnapped. especially leaders in opposition of the government and representing the indigenous people. thank you! The corrupt government and organized crime have one common enemy: the autodefensas as true representatives of the people in their communities. The government and the cartels will always do all they can to crush the autodefensas. The AutoDefensas are no enemies, they are more like raw meat. This is the link to LA Parota dam project, it shows a 3d map where the future dam, and waters will engulf the towns. This is the reason for the conflict. wow thank you! now i am thinking me or yaqui [who is a terrific writer I have encourages to write originals for BB] should write a detailed post on the story. the farmers liken it to Which groups are behind all this, the ayotzinapa case and so do i. Here is an article written back in 2009. It states that they will restart the project in 2018. Guess what it is 2018. Did I fail to mention that it is also an election year? Chivas, I wanted to add that there has been a new bridge built on the Papagyo in the town of Lomas De Chapultepec, near Barra Vieja. On the south side of Papagyo, there is a town called Guatamala. I spoke to a local there last year, He told me huge portions of beach front were bought up a while back by wealthy investors from Mexico City. I feel it is not a matter of if it will be built, but when. Unfortunately, in my opinion this is just the beginning of the bloodshed. This happens all over Mexico especially in the south rich with natural resources. Our family had very valuable land perched on a hill overlooking the pacific in BC. It had been in our family for centuries. the gob took it away to allow wealthy investors to build an ant farm of hotels and tourist attractions. looking at the video with the dam is shocking. in cases as this, maybe gold, silver, lumber, whatever the natural resource the gob takes by force, including killing. Look at the mining industry. and it usually is in impoverished regions. Poor people who don't count, who are expendable, have no one but themselves to fight against the gob. and supposedly they have the constitution to support them but the gob want to change even that. A Russian company to supply turbans for Dam. who wants more big mouths persecuting more Mexicans because they look like Arab terroristas? Of course, the US can'take handle BIG projects like these turbines, they can'take even supply iron or steel pipes for the ALL AMERICAN PIPELINES from Canada Texas through a the US to CHINA, WHATHTEFACK, all that oil that will be shipped through Cuba to the US owned corporations Offshored to CHINA IN CHINA are supposed to make Americans left behind by progress very rich, some day when the piss trickles down to their empty coffee cups from the rich offshorers jock straps. Maybe the U.S. is smart enough to stay out of Guerrero. Even though the majority of Acapulcanians need the water and the electricity, and I have been pro dam since it's inception, I have now changed my mind. A scientific paper was produced by I believe Spanish and Indian engineers about the possibility of dam failure in the event of a large earthquake. It basically says that the earthan dam that will be encased by concrete will hold up in an event. However, the adjacent rock that the dam will abut to will fail. This is called being objective. Also I do not have much faith, in Mexican construction. Let me rephrase that. I do not have much faith with the corruption that is involved with Mexican construction. It is called ; La Parota dam break simulation. Google it.